With the club seasons well wrapped up and World Cup qualifying in the books until the end of August, a lot of players are finding ways to occupy their time. Antoine Griezmann, who could have been mired in a transfer saga if he didn&apos;t commit to Atletico already, came up with an interesting way to pass the time. He went and dyed his hair blue. Whether it&apos;s temporary or not, I guess we&apos;ll see, but it certainly is eye-catching. 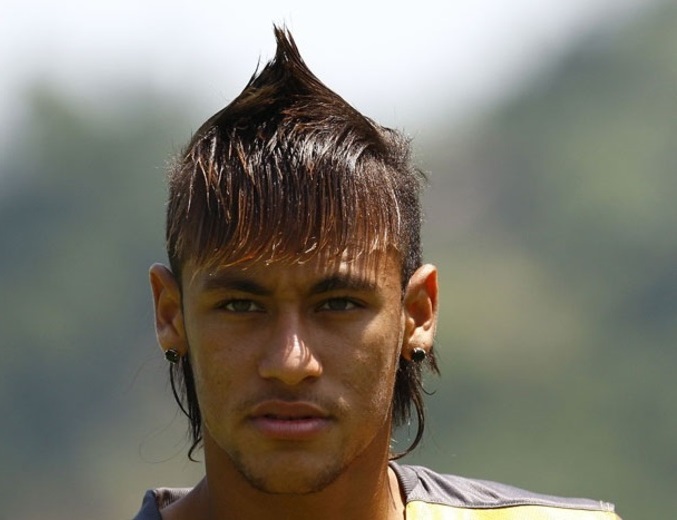 So eye-catching is the blue &apos;do that a maven of interestingcoiffures himself, Neymar, had to chime in. The Barcelona man was direct in his opinion of Griezmann&apos;s new look. It looks like the hilarity from Neymar didn&apos;t faze Griezmann, who fired back some playful emojis. Still, this is a rival who has made plenty of unappealing hair decisions busting a gut at your new look. If Griezmann&apos;s blue ombre style is making Neymar, whose done this, remember, laugh out loud … it might truly be time to reevaluate.